When you are looking to start an online business, you will be required to establish a website. If you are not aware of how to build the website then you can do it for yourself. However if you are not aware on how to build the website then you will be required to hire a website hosting company. A website hosting company will be able to build the website according to the website needs. There are some businessmen who are familiar with website hosting but there are many as well who will be new to this kind of service, so they will always be having the misconception about the website hosting services. There is a common misconception among many of the new customers. They always think that there are different hosting services which are more or less the same. One should always remember that each companies have their own characteristics. A shared hosting service is always different from that of a dedicated server. If you are choosing a shared server your website will be hosted on a shared server, however if you have chosen dedicated solution you will be getting your personal server and it is more secure than a shared hosting services. There are some customers who think as it is their own server they will be able to do anything they want, however there are some rules that needs to be obeyed. There is a copyright protection on the internet. You will not be able to use that online pictures, articles as well as the videos randomly unless you make it clear that it has been protected by the copyright protection on the internet. Hence you will not be able to use the online pictures, articles and videos randomly unless it is made clear that they have been protected by the copyright. A hosting company shouldn't host the website which is illegal and which violates the hosts terms of service. There are some customers who are moving their website to another one like the transfer of the files. There are some websites where one can copy the files from one server to another, for most of the businesses moving is website to another account is a very difficult task. Computer programmers have to spend several days for doing this. Hence one shouldn’t think moving the website from one server to another is easy. 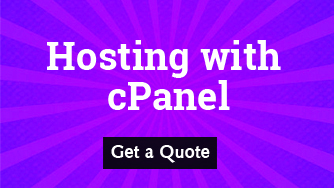 Many of the businesses thinks that cheap hosting service is an unreliable option. However there is a misunderstanding, due to the development of information technology the price of website hosting has dropped dramatically, hence the cheap hosting company is also able to offer good services. You can Choose the Best and the Most reliable Hosting Option with HostingRaja. Get huge discounts and offers on hosting packages. Get Full 24*7 Technical Support and Take your Business to Great Heights.